There’s been so much partying that it must seem to him that his birthday really is ALL of June (he’s spent so long telling people, “I’ll be three in June!” that now he figures it’s still his birthday). Is it right for a three-year-old to have this many presents and treats in the span of a week? I don’t know, but it’s pretty fun. Aside from the very early mornings where he must get up and play with his new… whatever. Here is a much-belated recap. Happy Birthday! You are THREE YEARS OLD! It’s hard to believe how grown-up you are, for all of us adults who remember so clearly when you were just a baby. From your perspective, I know, you are a big boy who has lived a long time and had lots of life experience. And you ARE big! You are tall for your age, and you are solid. 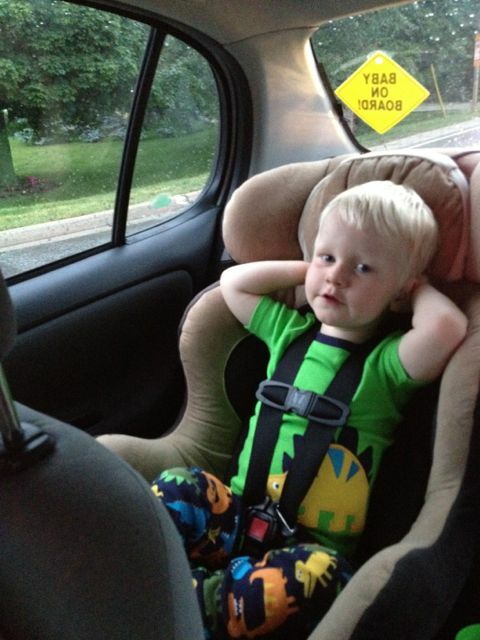 You run around, and push yourself around on your tricycle, and you do stairs by yourself (mostly), and you get yourself in and out of your car seat. I always have to ask if I can help you with things – and usually you don’t let me. You are also pretty stubborn and strong-willed. (Where on earth did you get that?) Sometimes you decide that you want things to be a certain way, and you get very angry if we don’t cooperate. You use your loudest, scariest voice, and it’s both hilarious and irritating. And sometimes highly inconvenient (like when we’re trying to get to the babysitter on time). But these moods don’t last long – and we’re grateful you’ve never lost your temper in a public place, like the grocery store (knock wood). I’m glad you assert yourself. And when we ask you to use your words and your manners, you usually do really well, even if you are upset. It’s amazing to see you learning which communication techniques work. You are also incredibly sweet, still full of love and cuddles. One night recently, you were having a bit of trouble falling asleep, but you were calm and quiet. I wonder(ed) what you were thinking about. At one point, unprompted, you said, “I love you, Mama,” which never fails to melt my heart. A few minutes later, when I thought you were already asleep, your eyes opened and you stared at my face and said sleepily, “Mommy… you’re pretty.” AS IF you are that charming half-asleep, you little dickens. I was bowled over. I am cherishing these moments as hard as I can. Friday, June 8th – Actual anniversary of your birth! Babysat by Grammie and Papa, big present (balance bike) from Mommy and Daddy, dinner at the restaurant with the “green sun” (East Side Mario’s – you think the Statue of Liberty’s crown sticking out of the roof looks like a sunrise), French fries for you (the only restaurant food you currently eat). The manager gave you a crazy silicone tomato that goes SPLAT if you throw it at a window and then slowly reforms itself. Almost as popular as the bike. 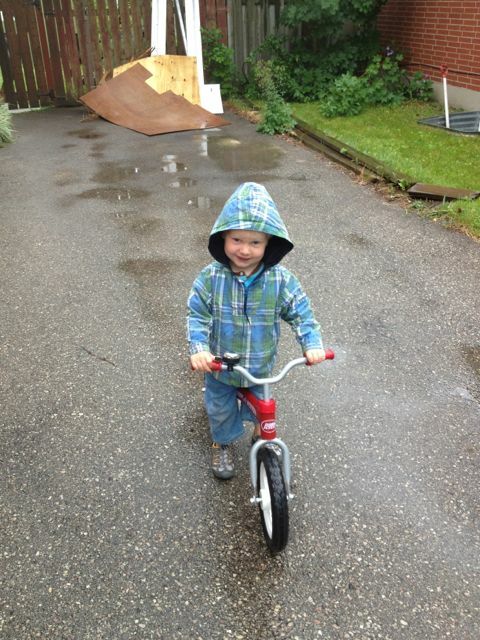 Saturday, June 9th – Rained all day, but you were intrepid enough to go biking anyway. Off to Grammie and Papa’s in the afternoon, more presents, and cake and celebrating with Aunties Em and Beth. Sunday, June 10th – Beautiful hot, sunny day, trip to the ice cream store with Mommy and Daddy, dinner out again with Grandma J and Grandpa T, and… more presents. Monday, June 11th – Another day at M’s, then straight to Grandpa R and Grandma S’s. Celebrating with more two aunts, one uncle, three cousins, two grandparents, and two great-grandparents, and guess what – MORE PRESENTS. With a dinosaur theme! Now you’ve forgotten what it’s like not to be feted and get presents every single day. You’re getting spoiled – but you are so fun to spoil. 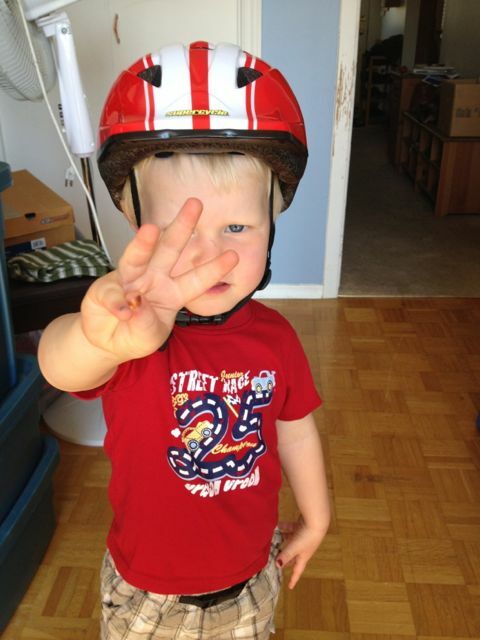 Here you are on your balance bike. Since you still can’t properly pedal your tricycle, we are hoping this will be more fun and useful, and avoid the need for training wheels later. So far you still just walk astride it, instead of sitting and pushing, but you seem to LOVE it. It must seem like a big-person bike to you. 1b) About a dozen Hot Wheels (Zellers is going out of business and Daddy got a little crazy in the clearance dinky car aisle). 1c) Duplo tractor with accessories (same situation). 1d) One ambulance truck, one snowplough, one racecar, and one truck with trailer (you call it a “spy truck” because it has flames on the side), all from M.
1e) A set of tiny Thomas the Tank Engine characters, to go with the Thomas book from your great-grandparents. 2a) Dinosaurs! Triceratops, Apatosaurus, Raptor, Corythosaurus, Ankylosaurus (you know their names because of your book, How Does a Dinosaur Count to Ten? )… plus a T-Rex that talks in a growly voice and swallows cars as they come down a ramp… it’s quite something. PLUS, dinosaur pajamas. 2b) Plush pipistrelle bat with magnetic wings – Grammie and Papa were inspired by your interest in bats, and taught you to say the word “pipistrelle” because there’s basically nothing cuter than hearing you say strange words. 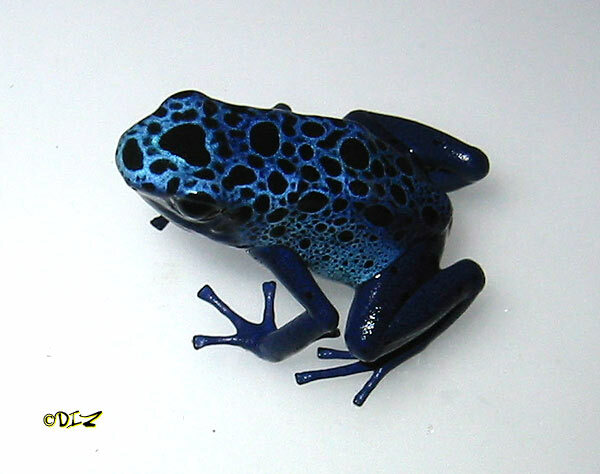 2c) A whole set of little tree frogs and turtles with their names printed on the undersides – so of course we’re learning to say things like “Azureus” and “Golden Mantella” – again, mostly because it’s cute. 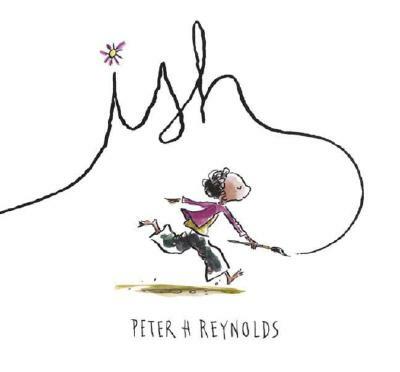 3a) First book arrived by mail from our cousin Q – called “ish”, by Peter H. Reynolds. Ideal for you, the little perfectionist – you’re too hard on yourself already when your colouring doesn’t go quite as you imagine it should. 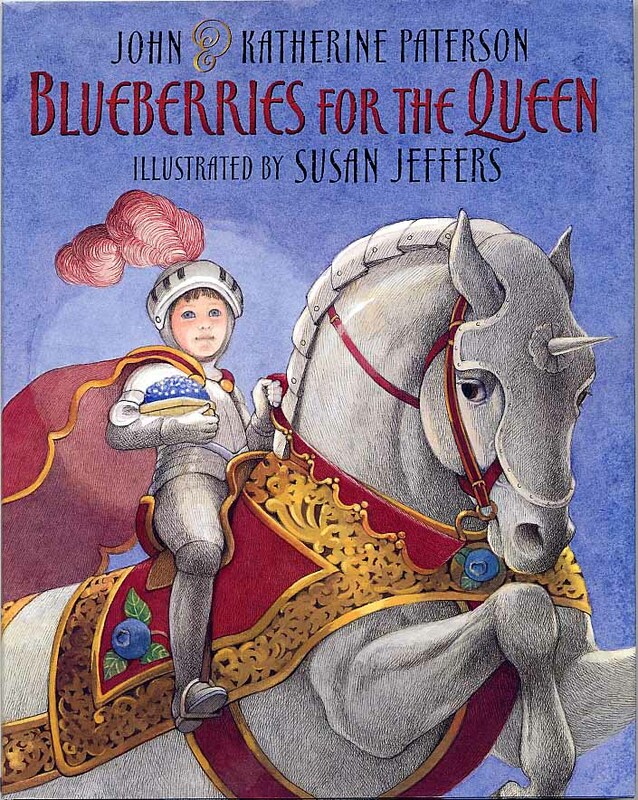 2b) Several books from Auntie Em, including “Blueberries for the Queen”, which has ALL the fantastical creatures you could hope for! 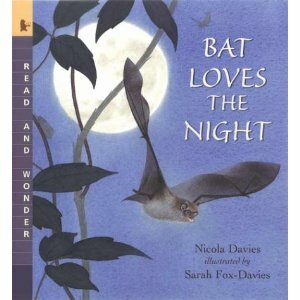 3c) “Bat Loves the Night”, starring the abovementioned pipistrelle. 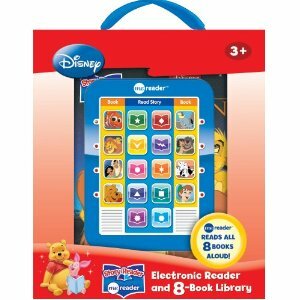 3d) A set of 8 Disney books from Grandma J and Grandpa T – with a special accessory, below. 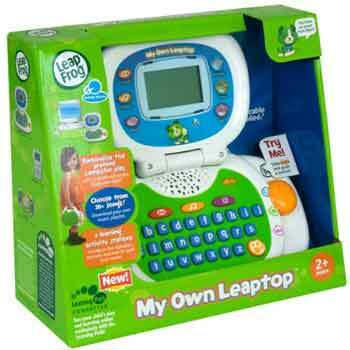 4b) Your very own laptop – or rather, “Leaptop”, from Auntie T! You are all over this thing. For one thing, our household contains many real laptops. Also, Laura from daycare has one like yours, but pink. You are so engaged with this, you dance to the music and you even talk to it when it asks you things (something you never do with Dora or Diego). You are blessed with at least two Aunties who make amazing cakes! 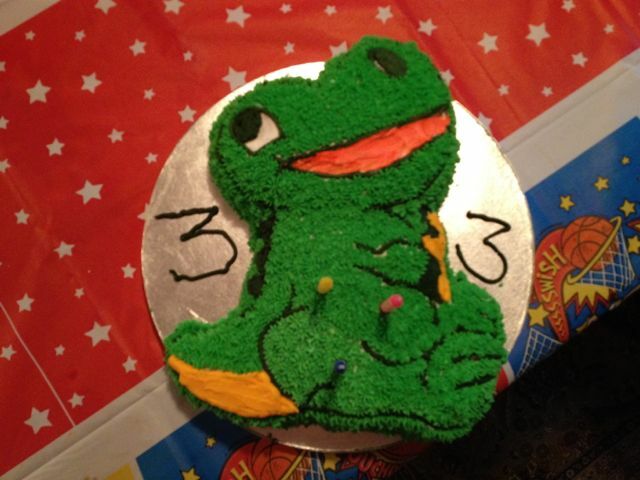 2) Auntie A made a cake to go with the dinosaur theme on Monday… Wow! What a lucky little (big) boy. We – ALL of us – love you so, so much. We are very glad your third birthday is happy. Lightning reply: Nice photos! Please note, in the dinosaur pjs photo, the Instance of Chilling. Aw yeah. gee, i remember stuff like this! what fun! but how do you cope with such excesses? i found that daunting, especially less than a month after Christmas’s excesses. Your three-year-old looks so grown up! he knows names of dinosaurs that hadn’t even been identified when i was little. wow. i remember making a dinosaur shaped cake for my little boy one year, when we also played “pin the head on the tyrannosaurus” and made dinosaur placemats which were also party favours. 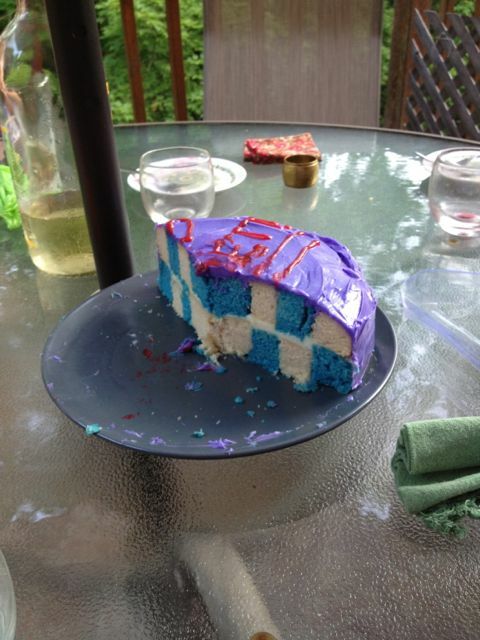 and i remember making Thomas the Tank Engine cakes for a few years, too. we haven’t even had a chance to give him our present yet. so there’s more birthday yet to come – though not very extravagant, i should warn you. thanks for such a lovely story! Speaking of fancy cakes, Auntie CL was the QUEEN of cake-decorating! I was always a little jealous. She even won prizes. Okay, so the genes didn’t get to me, but they’ve made it into the next generation. Go, Auntie B! Also, CL gave the best kids’ books – Auntie E has those genes! Why do little boys love Thomas the Tank Engine?